A substantial part of Rogue Advocate's work is outreach and education on land use issues. Here we have provided links to relevant local and state agencies that make land use decisions, and have also have many of the local land use plans available online. 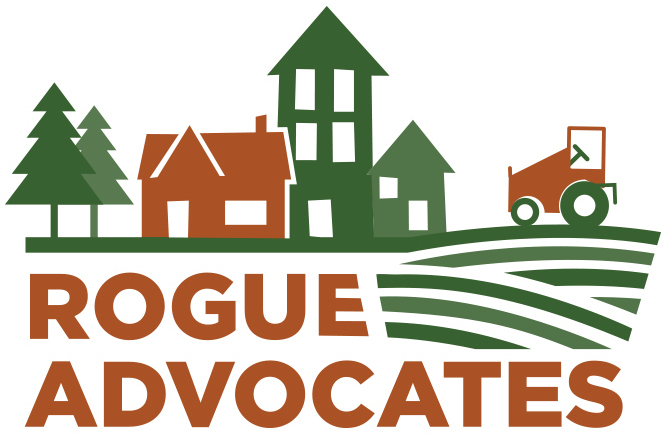 Rogue Advocates works with a number of different land use and conservation groups locally and across the state on issues regarding the preservation of our important farmland, forestland and open space. Click on above links to reach these agencies and groups.